This is a collection of free and reusable Excel Calendar templates designed to ease printing of desktop calendars for small business owners. 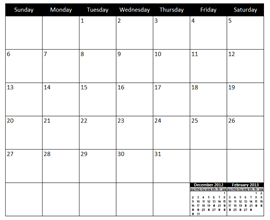 Both yearly and monthly calendar templates in A4 and Letter sized formats are provided. The calendar template is extremely easy to use and requires only a year input to be entered. Based on the year input, a complete set of calendars can be generated automatically. 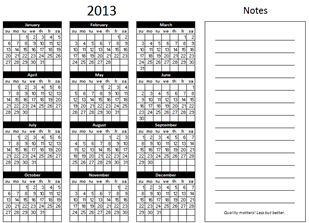 The diagrams below show a sample of the Yearly and Monthly Calendar.